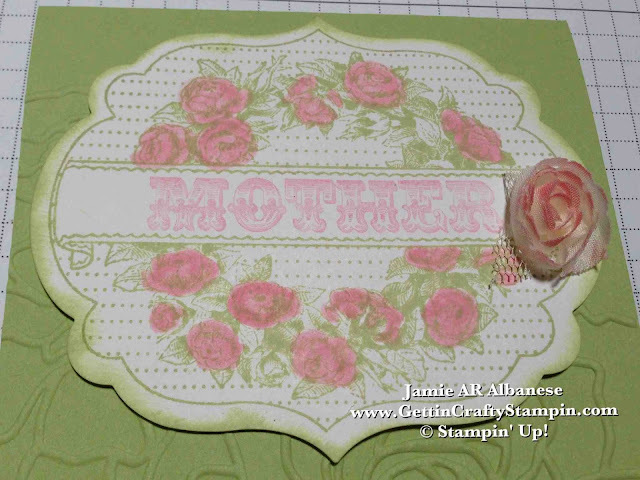 Mother's Day is once a year and should be special! this is the card we created! Certainly Celery* is an amazing color, a sweet green. 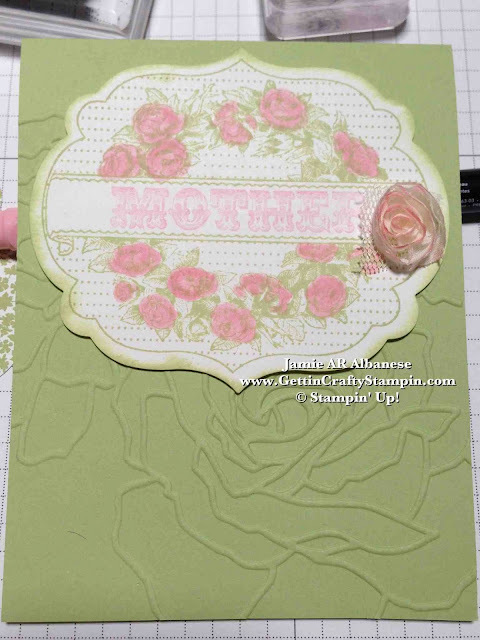 Here with our Certainly Celery card stock (#105125) as the base for this elegant card, the Manhattan Flower Textured Impressions Embossing Folder* (#114517) and my Big Shot (#113439) a rose texture is perfect for the Spring season and Mother's Day (where every mom should receive some roses, give her these as they are everlasting!). *Click HERE to see ALL of our Amazing Retiring* Products and Color lines! My Nanna always said that she was busiest when she retired, so get busy and SAVE Up To 65%! it's classic and SURE to Wow every time! 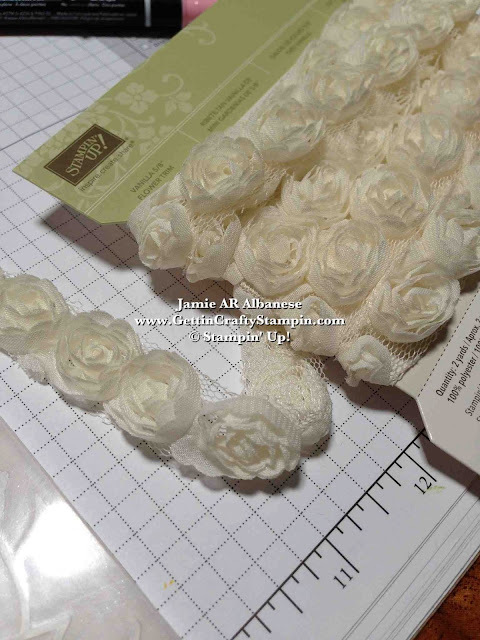 Speaking of WOW... these roses on our 5/8" Vanilla Flower Trim (#126869) from the Spring Mini is leaving at the end of May - get YOURS before they are gone! Not only are they STUNNING, easily colored, classic and elegant they are only $6.95 for 2 yards of these beauties! 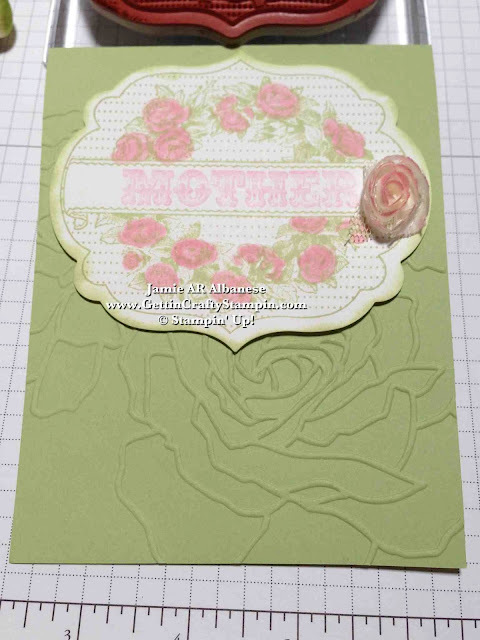 Rubbing my Pretty In Pink* Stampin' Write Marker (#100045) on the rose is a fun way to color these fabric and tulle roses! This Pretty In Pink* is retiring, too! This sweet Pink is a need for every crafters paper family! Our Amazing Family stamp set (#129192) has this stunning 'Mother' stamp that fits PERFECTLY in our Apothecary Art stamp set (#125527)! Mother embraces it all, doesn't it? Good, Bad, Sassy, Funky, Fun, Cold, Hot.... every mom deserves some love - lol!! Too, it coordinates and cuts out easily and quickly with our Labels Collection Framelits Dies (#125598) and my Big Shot (#113349) for a WOW and easy project! 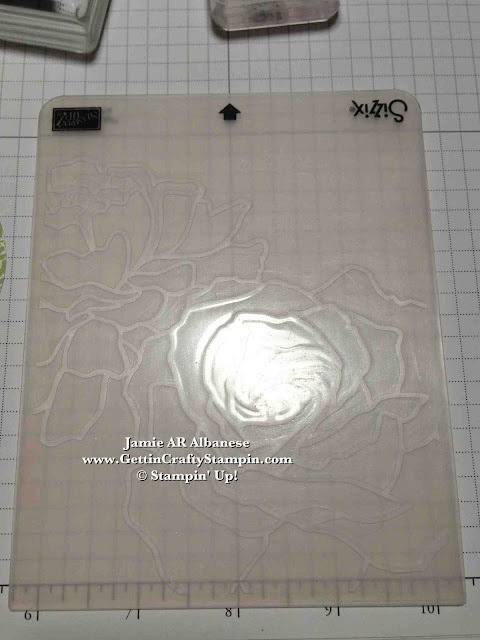 Stamped with our color coordinated inks... this Certainly Celery ink pad (#126958) makes crafting easier than ever! Whether a great mom, a mom, or a friend... celebrate the women in our lives! I'm blessed to have had some amazing ladies in my life, I'm sure to send them a Mother's Day card! Embrace the beauty of Spring, Mothers and those in your life that make life, livable! 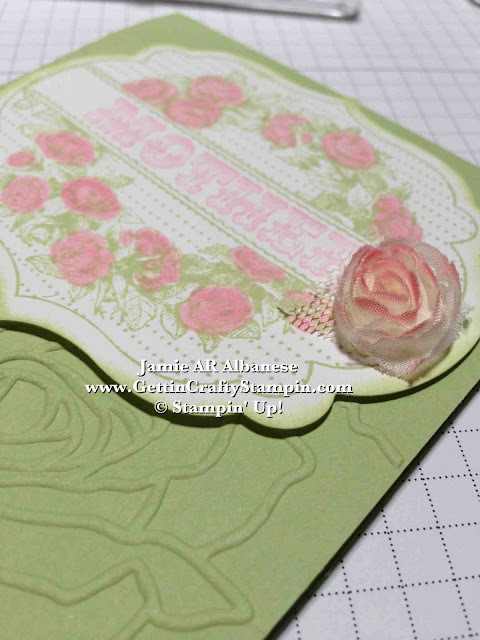 Sending a card, a rose card, is sure to live a long life, and never die... unlike cut roses (lol). Please, Share this card, Pin it, Facebook, Instagram, Tweet it... and remember that you can follow me on all of those channels! Like this? Come play along! Click HERE to see my upcoming classes and to join in on the fun! Celebrate life and people with a card.. and have fun in my classes doing so! RSVP ASAP and I look forward to seeing YOU there!! Too, leave me a comment and let me know what you think!